Celebrate your gratitude with style. Your corporate gifts say a lot about you and your organization, so make them memorable and personal. At Pods & Petals', we know your gift represents your sincerest feelings - be it an appreciative thank you, a warm welcome, or heartiest congratulations. We create our corporate gift collection with this in mind - a range of gifts that symbolizes your gratitude with style. We will work together with you to develop solutions to suit your particular corporate marketing needs. From customer loyalty schemes to staff incentives, we offer innovative ideas and carefully crafted programs executed with the highest level of professionalism. 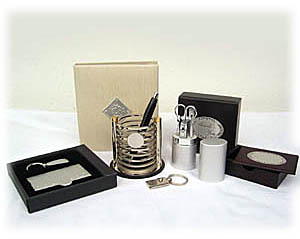 corporate engravings are available at Giftlab to complements your gifting needs. To learn more about our corporate gift-giving services, call us at 603- 7955 7555 Monday through Friday (9am to 6pm), or Saturday (9am to 1pm) and speak with a Corporate Sales Specialist or email us at sales@gift-lab.com. In addition to giving you all the details of our special services, we can work with you to develop a gift-giving plan personally suited to your company's needs. messages on our hand-illustrated gift card. From flowers to fine food and hampers; Pods & Petals Giftlab is here to please and delight. Hence make it personal. Many of our show gifts can be customized to your requirements.